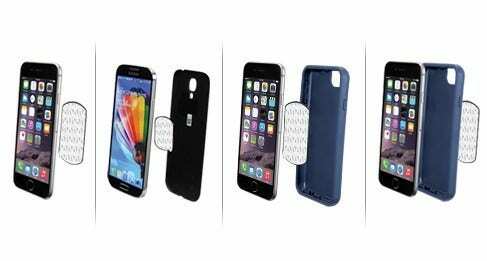 The ideal mounting solution for your phone and ACCESSPORT! 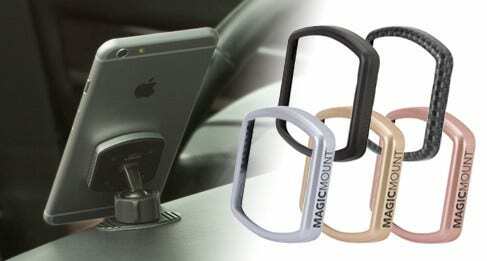 These powerful earth magnets hold your device securely in place even on the bumpiest roads and are 100% safe for Smartphones, Tablets, GPS and other mobile devices* How strong are they? Strong enough that we trust them holding a GoPro Session when take out our Can-Am Maverick 1000XRS. Don't belive us? Just watch the video. The MagicMount PRO brings the mobile device mounting system to a whole new level with interchangeable trim rings. A Silver and Black trim ring is included with your purchase. Not your colors? Apple device color match trim rings, Space Gray, Gold, Rose Gold as well as Carbon Fiber will be available for purchase. 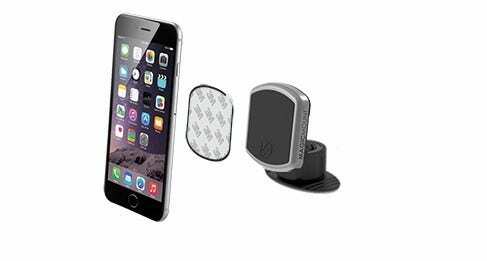 The MagicMount™ system uses powerful magnets to grip safely and securely to the MagicPlate™, which is a small adhesive metal plate that can be attached very easily to the back of your mobile device. You can choose to apply the adhesive plate directly to your device, under the battery cover or to the outside of the case. 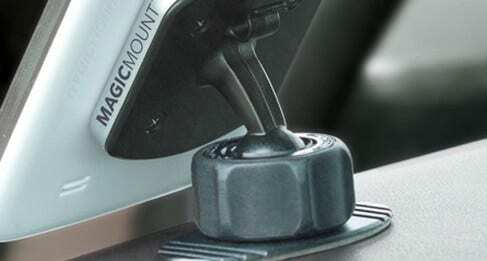 *MagicMount is not recommended for use with a mobile device encased in a wallet-style case cover.